Retirement is the worst time to be filled with anxiety about making your next mortgage payment. Life on a fixed income is challenging enough, but when that income doesn’t stretch to meet your basic needs, it’s frightening. Thankfully, you have a number of options available under these circumstances. A good first step to take when you find you can no longer make your house payments is to call the U.S. Department of Housing and Urban Development (HUD) Homeowner’s HOPE Hotline at 888-995-HOPE (4673). They will set an appointment for you to speak with a housing counselor to discuss these options in detail. There is no reason to go through this alone. The most obvious solution to the dilemma of not being able to afford mortgage payments is to sell the house. If you have enough equity, you can use it to purchase a more affordable home. If you have no or insufficient equity, speak with your lender about performing a short sale. In this real estate transaction, the lender agrees to take less than the balance owed to pay off the mortgage. Refinancing the house to a lower interest rate is an option if you have the income to support the new mortgage payment. Experts with the Financial Planning Association suggest getting a part-time job to help boost the income that you’ll need to show to qualify for the refinance. If you have an FHA-guaranteed mortgage, the process may be easier. The Streamline Refinance program does not require credit, income or employment verification, which is ideal for someone in your situation. To qualify, you must have a perfect payment history for the past three months, and you are allowed one late payment in the last year. You'll be required to pay for mortgage insurance every month, with a payment due at closing. To get started on the Streamline Refinance, contact a HUD-approved lender. What Is Debt-to-Income Ratio Regarding Mortgage Modification? 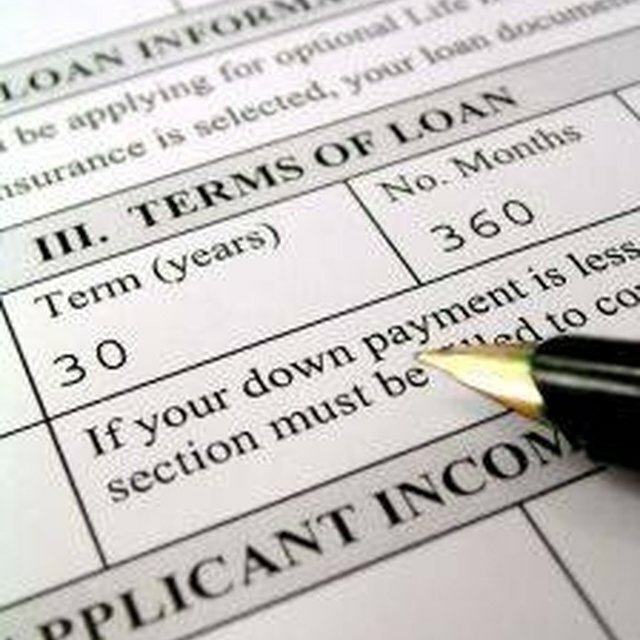 Consider pursuing a loan modification under the government’s Making Home Affordable Modification Program -- HAMP. To qualify, the home must be your primary residence; you must owe less than $729,750 on your first mortgage; the payment on the first, including principal, interest, taxes, insurance and HOA dues, must be more than 31 percent of your current gross income; you must have taken out the mortgage before January 1, 2009, and you're unable to make your mortgage payments because of a financial hardship. The first step to determine if you qualify for the program is to call your current lender to find out if it participates in it. If it doesn't, ask if it offers a loan modification program. Consider taking out a reverse mortgage. With this program, created for Americans over the age of 62, you borrow against the equity in your home. You won't be required to make payments -- the loan doesn’t have to be paid off until you move out of the home or die. HUD offers a reverse mortgage program, the Home Equity Conversion Mortgage -- HECM. Some banks and credit unions offer reverse mortgages as well. The reverse mortgage isn’t for everyone, which is why it is sometimes called “the loan of last resort.” Although most of the up-front costs of the loan are regulated, fees can be high for someone on a tight budget. Some retirees are determined to leave the home to their heirs -- with a reverse mortgage, you won’t be able to do that. The loan also requires you to have substantial equity in the home. Speak with a housing counselor about the reverse mortgage and whether it’s right for you. If you used a U.S. Department of Veteran’s Affairs-backed loan to purchase the home, there is special help available. The VA’s version of the streamline refinance, called the interest rate reduction refinancing loan, or IRRRL, has lower funding fees and other attractive options. If you're a veteran, but used a conventional loan to purchase the house, check into refinancing the home into a VA loan. This program allows you to refinance up to 100 percent of the home’s value. Contact your lender to get started.